In partnership with Le Le Pop Up du Label, Buffet Crampon is proud to introduce the next jazz rendezvous: Pop Up the Jam by Buffet Crampon ! Every two months, come and enjoy jazz music during a special evening in Paris with the biggest jazz artists: Luigi Grasso, Christian Martinez, Aurélie Tropez, Frédéric Couderc, Stéphane Chandelier, Sébastien Mitterrand, Philippe Chagne. Session 2016-2017 begins on October 11th! In the meantime, every tuesday an interview with one of our artists will be release on the Pop Up the Jam by Buffet Crampon YouTube channel. Free entry at Pop Up du Label, 14 rue Abel 75012 Paris. First part of the evening: International and French biggest jazz artists concert. Second part of the evening: Free Jam Session for all. 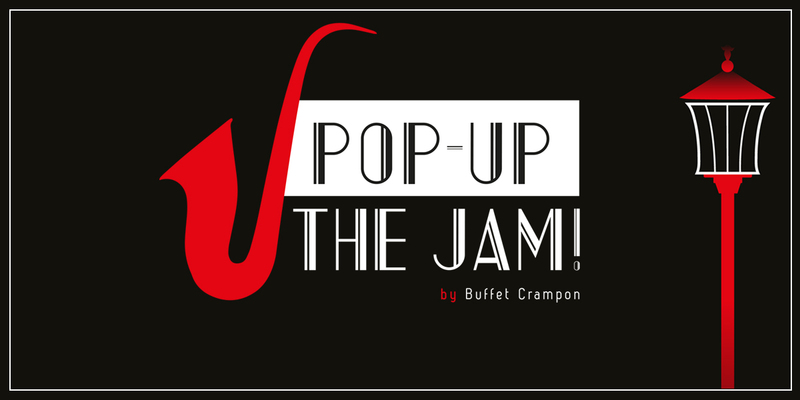 For more updates, connect to the Pop Up the Jam by Buffet Crampon Facebook page.